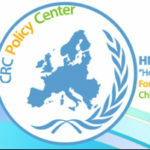 Catherine works a Clinical Psychologist at "Hope For Children" CRC Policy Center Humanitarian Division. She is provide psychological support to unaccompanied migrant children and contribute their holistic care, aiming resiliency. She is also provide support to the Organization's young volunteer staff also when needed. In parallel, Catherine is a clinical researcher at University of Liege, Belgium, working on her Phd. Catherine De Geynst had her master in Clinical Psychology at Free University of Brussels, Belgium, in 2011. After which the Belgian Institute of Victimology awarded her a degree in Victimilogy and Post Traumatic Psychological Care. 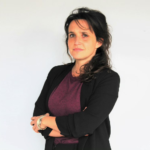 While working for four years and a half as a Clinical Psychologist in Centre Hospitalier Jean Titeca, a psychiatric hospital in Brussels, she trained for 4 years at La Forestière Asbl, Brussels, Belgium and obtained a post-university degree in Institutional and Systemic Psychotherapy, in 2018.